Following are our business terms and conditions. For more information or clarification on any point please contact us. >1.1 The following Conditions shall apply to all contracts concluded by Supply Only Bedrooms. In these Conditions, the following words shall have the following meanings: the Seller shall mean Supply Only Bedrooms. The Goods shall mean the products which are supplied by the Seller in accordance with these Conditions. The Buyer shall mean the person, firm or company entering into the Contract to purchase the Goods from the Seller. Writing includes fax, e-mail or post. 3.1 All orders must be sent to the Seller in Writing, by post, e-mail or fax. Cancellation requests should be sent in the same manner as the original order, including all appropriate reference numbers. 3.2 The Goods are 'made to order' hence no right to cancel exists for the Buyer except where expressly agreed by the Seller in Writing and we will ask for reason for cancellation. 3.3 The Buyer will in the event of agreed cancellation by the Seller indemnify the Seller fully against all expenses incurred up to the time of such cancellation. 3.4 Where permission to return is agreed, the Goods can not have been fitted and must be returned at the Buyers expense in their original condition in their original packaging. 3.5 Where the Goods are not made to order, the Buyer has the right to cancel the contract at any time up to 7 working days starting the day after delivery and will be entitled to a refund. All doors, cabinets, moulded products are made to order and therefore non refundable. 3.6 The Buyer is entitled to free replacement of any Goods that arrive damaged. The Buyer must inspect the Goods and inform the Seller within 7 working days of any damages. The replacement Goods will be shipped assembled or flat pack, dependant on uk geographical location. 4.2 All prices quoted are valid for 30 days or until earlier acceptance by the Buyer, after which time they may be altered by the Seller without giving notice to the Buyer. 4.3 Unless otherwise stated, the prices shown are inclusive of VAT. 4.4 The Seller reserves the right, by giving notice to the Buyer at any time before delivery, to increase the price of the Goods to reflect any increase in the cost to the Seller which is due to any factor beyond the control of the Seller. 4.5 The Seller reserves the right to adjust prices and specifications on this web site with no notice. 5.1 The Seller reserves the right at any time to demand payment in full before continuing with or delivering any Order. 5.2 Method of final payment is to be agreed before Goods are dispatched. 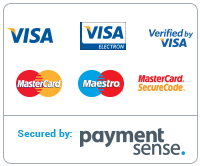 5.3 Payment methods include but are not restricted to Credit/Debit cards (excluding American Express and Diners) online or by phone, Personal Cheque or Direct Bank Transfer. Whichever method is used, applicable clearance times will be allowed for before placing any Order or delivering any Goods. 5.4 The Seller will charge 3% of the order value per 7 day week from delivery into the Seller’s warehouse of any order delayed delivery if not the fault of the Seller but the Buyer beyond the original agreed delivery date. 5.5 The Buyer, having two ordering options to consider, shall make the agreed part payment on ordering Goods, typically 60% of the order value with the remainder paid in full prior to delivery of the Goods ordered. Except where the Goods are ordered directly and immediately via our web site, full payment is made at point of order in this circumstance, via the secure payment servers. 5.6 Should the Buyers final payment not clear then the Seller may charge (in addition to the amount shown on the invoice) the cost of time spent pursuing payment including any travelling expenses and legal costs incurred by the Seller in connection with recovery of the whole or any part of the debt due to Seller (on a full indemnity basis) whether or not proceedings are commenced or costs can be awarded by the court. 5.7 Payment can be made by cheque, cash or debit card without extra charge. 5.8 We do not accept American Express or Diners club credit cards. 6.1 Delivery of the Goods shall be made by the Seller’s delivery company delivering the Goods direct to the Buyer’s specified mainland UK address. 6.2 The Seller shall be responsible for the delivery of Goods to the delivery address. 6.3 The delivery date specified in the contract is a genuine forecast in the light of current conditions but is given without legal commitment. Factors outside the Sellers control can arise, potentially causing delays. A four hour delivery ‘window’ will also be specified at the point the Sellers delivery company contacts the Buyer directly. Time of delivery is not of the essence but every effort will be made to ensure it is met. 6.4 The Seller shall not be liable for any delay in delivery howsoever caused. Late delivery of the Goods does not entitle you to reject the Goods, terminate the Contract or withhold payment of any part of the price. 6.5 The Seller reserves the right to make delivery of the Goods by installments. Failure by the Seller to deliver the Goods in a single installment constitutes no right on the Buyers behalf to repudiate any part of the Contract. 6.6 Deviations in quantity of the Goods delivered from that stated in the Buyer’s order shall give the Buyer no right to reject the Goods or to claim damages. The Buyer shall be obliged to accept and pay at the hitherto stated rate for the quantity of the Goods delivered. 6.7 The Seller shall not be held responsible for any damage or injury caused by any object delivered by the Seller or its agents under direction of the Buyer as to its final resting location. 6.8 Where a failed delivery takes place and additional delivery, storage or other costs are incurred when meeting the Buyers requirements, all additional costs will be passed on to the Buyer. 6.9 It is the responsibility of the Buyer to inform us, at time of order, of any unsuitable road conditions that may affect the delivery. What constitutes an unsuitable road condition is at the discretion of the Seller’s delivery company. 6.10 Additional delivery and storage charges will also be levied to the Buyer when the Buyer gives insufficient warning of a delivery cancellation or rearrangement. Typically, insufficient warning means any time within 10 working days prior to the arranged delivery date. 7.1 Ownership of all Goods sent to the Buyer remains the Seller’s and will not pass to the Buyer until one of the following events occurs: We are paid for all Goods and Services supplied to you by us and no other amounts are owed by you to us in respect of other Goods and Services supplied to you. Where Goods are attached to or incorporated in other Goods or are altered by you, ownership of Goods shall not pass to you purely by virtue of the attachment, incorporation or alteration if the Goods remain identifiable and, where attached to or incorporated in other Goods, can be detached or removed from them. 7.2 The Buyer must store the Goods away from any other Goods until they become your property in accordance with these terms. 7.3 You must allow the Seller or the Sellers agents’ entry onto your premises for the purposes of exercising our rights under these Terms. If necessary, you must allow us to detach or remove Goods from any other goods. This does not affect any other rights you may have. Until the title in the Goods has passed to the Buyer the Seller has the right to withhold delivery if the Buyer (being a Company) has a petition presented for its winding-up or for an administration order under the Insolvency Act 1986 or passes a resolution for voluntary winding-up other than for the purposes of a bona fide amalgamation or reconstruction or compounds with its creditors or has a receiver appointed of all or part of its assets or (being an individual) becomes bankrupt or insolvent or enters into any arrangements with creditors or takes or suffers any similar action in consequence of debts or carries out or undergoes any analogous act or proceedings under foreign law. 9.1 The Buyer is under a duty whenever possible to inspect the Goods on delivery. Where the Goods are sent by courier and/or cannot be examined, the carriers’ delivery note must be marked “unexamined”. 9.2 The Seller shall be under no liability for any damage or shortages that would be apparent on careful inspection if the terms of this clause are not complied with and, in any event will be under no liability if a written complaint is not delivered to the Company within 7 working days of delivery detailing the alleged damage or shortage. 9.4 Subject to clause 9.2 and 9.3, the Seller agrees to make good any shortage in the Goods and where appropriate replace any goods damaged in transit as soon as it is reasonable to do so, but otherwise shall be under no liability whatsoever arising from such shortage or damage. 10.1 The Seller warrants that it has title to and the unencumbered right to sell the Goods. 10.4 If the Buyer has any specific requirements for the use of the Goods the Buyer must notify these requirements to the Seller in writing before purchasing the Goods. 10.5 If the Buyer is unsure as to the suitability of any Goods for a particular purpose it should consult the Seller prior to purchase. 10.6 If the Goods are in such a state as would but for this condition entitle the Buyer to repudiate the contract and/or claim damages from the Seller, the Seller reserves the right to repair or replace the Goods. 10.7 The Goods are fully guaranteed by the manufacturer against manufacturing defects over a period of 60 months from the date of delivery. 11.1 The Seller shall not be liable for any indirect, incidental, consequential loss arising out of the Contract or the performance or any use of the Goods or Services. 11.2 Nothing in clause 11 shall be deemed to exclude or restrict the Sellers liability for death or personal injury resulting from the Sellers negligence. 11.3 The price shall be affected by any material changes that you request or which are agreed provided for herein, even if we were advised of the possibility of such damages. 11.4 The maximum liability of the Buyer or the Seller under any Contract between the Buyer and the Seller is limited to the price. 11.5 This clause only covers defects caused by faulty design, manufacture, materials or workmanship. It does not cover defects caused by abnormal use, misuse or neglect. It does not cover faulty design, manufacture materials or workmanship supplied or undertaken by the Buyer or third parties. In respect of goods not designed or manufactured by the Seller, the Seller only gives such guarantee or warranty to the Buyer as the Company itself receives. The Seller agrees that if any defect covered by clause 11.5 is discovered during the period of twelve months commencing from the date of despatch, the Seller will either repair the Goods at its own expense or, if it chooses to do so, replace them. The Seller does not bear any responsibility for defects arising or introduced by a Buyer in the course of storage or handling of the products where that Buyer acts as an agent or distributor of the Seller’s products. The Buyer should consult the Seller if any doubt exists with regard to the appropriate storage or handling requirements of the Goods. The Buyer must inform the Seller of any defect applicable to this clause within 3 working days of discovery. These Goods are to be returned to the Seller, at the Buyers expense in the same fit state as the Goods were delivered to the Buyer. The risk of accidental loss while the Goods are being returned will be borne by the Buyer. In consideration for receiving the benefit of this clause, the Buyer agrees that, apart from those terms set out in Clauses 9 and 10, no other terms, conditions, warranties or innominate terms, express or implied, statutory or otherwise, shall form part of this Contract. 11.6 Exclusion of Consequential Loss the Seller shall not be liable for any consequential or indirect loss suffered by the Buyer whether this loss arises from breach of duty in Contract or in any other way (including loss arising from the Seller’s negligence). Examples of consequential or indirect loss are, but not limited to: loss of profits, loss of contracts, damage to property of the Buyer or anyone else, and personal injury to the Buyer or anyone else (except when such injury is attributable to the Seller’s negligence). 11.7 Limitation the Seller’s total liability for any one claim or for the total of all claims arising from any one act or default of the Seller (whether arising from the Seller’s negligence or otherwise) shall not exceed £1,000,000. 12.1 The Seller shall not be held liable to the Buyer if the Seller is prevented or delayed in the performance of any obligations to the Buyer if this is due to any cause beyond the Seller’s reasonable control, for example but not limited to: An act of God, explosion, flood, fire or accident. War or civil disturbance. Strikes, industrial action or stoppages of work. Any form of government intervention. A third party act or omission. Failure by the Buyer to provide the Seller with a correct e-mail or delivery address or notify us of any change of address, or inform us of any highway restrictions preventing delivery to the Buyer. Shortage of materials, labour or manufacturing facilities. 12.2 Should the Seller be prevented from delivering in the above circumstances, it shall give the notice of this fact as soon as reasonably practicable. 12.3 If the circumstances preventing delivery are still continuing three months after the Buyer receives the Seller’s notice, then either party may give written notice to the other canceling the Contract. 12.4 If the contract is cancelled in this way, the Seller will refund any payment which the Buyer has already made on account of the price (subject to deduction of any amount the Seller is entitled from the Buyer) but the Seller will not be liable to compensate the Buyer for any further loss or damage caused by failure to deliver. All information contained herein alongside any other information provided to the Buyer remains the intellectual property of Supply Only Bedrooms. Any use of these trademarks, literature, images is strictly prohibited unless expressly permitted in Writing by a Director of the company or an authorised representative. Any notice to be given hereunder shall be in Writing and shall be deemed to have been duly given if sent or delivered to the party concerned at its address specified herein or such address as the party may from time to time notify in Writing and shall be deemed to have been served, if sent by post, 48 hours after posting. The contract shall be governed by and construed in accordance with the laws of England and Wales. Neither the Seller nor the Buyer shall assign or transfer or purport to assign or transfer the contract or the benefits thereof to any other person without the prior written consent of the other. No waiver by the Seller of any breach of these conditions shall constitute a waiver of any other breach. No failure by the Seller to exercise any remedy shall constitute a waiver of the right subsequently to exercise that or any other remedy. 18.1 Whilst the Seller has taken every precaution in the preparation of this web site and all other relevant information provided to the Buyer, this information is supplied for the Buyer’s general guidance only, and the particulars contained therein shall not constitute representations by the Seller and the Seller shall not be bound thereby. 18.2 Images, descriptions and sizes refer to patterns and specifics of all Goods as made at the time of publication. In view of continued improvements and variations in availability of materials, the right is reserved to supply goods of similar quality which may not correspond exactly with the particulars given. 18.3 Supply Only Bedrooms do not disclose any customer information to third parties, except for Goods delivery purposes. Cookies are used on this site to enable Customers to use the Shopping Cart, process Customer Orders and to store Customer details. We can be contacted by post, telephone or email. For details, please visit our contact page.